Getting started with Instagram can be a confusing process. 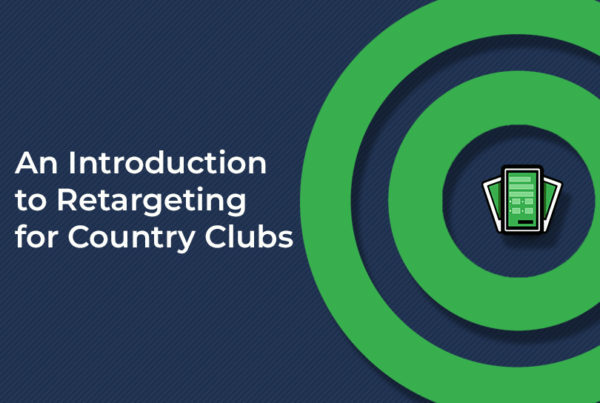 The platform is not all that easy to learn, and as they continue to release new features what seems like every other day, it is easy for your country club to put off getting on it. However, it is a pretty significant platform to be on! We went ahead, with some help from Buffer, and through this 6 step guide together for any country club GM to follow to get started with Instagram. If you have not downloaded the Instagram app, you can grab it from the App Store, Google Play Store, or Microsoft Store. Your Instagram profile photo will be displayed as a circle in peoples feeds. So, if you are using your clubs logo, be sure it is in the center of the image you upload, this way it will still appear clearly once Instagram resizes the image. Also, since your profile image will end up looking relatively small in the app, I’d recommend using a more prominent logo or symbol of your club — rather than a logo with lots of text in it. Instagrams app does not prompt you to fill out the profile information for your country club, but it is important to do it regardless! To fill out your profile information, go to your profile in the app and tap on “Edit Profile.” The two fields to fill out is your country clubs website and a short bio. If you decide to change your username (i.e., @username), this is where you can change it, but once you determine what it is, we HIGHLY encourage you to leave it like that. Your username will is reflected in your profile URL, so any links you put out would also have to be changed. Congrats! Just like that, you have set up your Instagram account! Now let’s get to using the app! When you are ready to post a picture or video, just hit the “+” icon at the bottom. Then just select your media or take the image/video. If you are choosing photos from your library, you can upload your photo as a portrait or landscape. Select your preferred photo and tap on the icon with two arrows in the lower-left corner of the preview. You can then move and zoom the photo to adjust how you want it to fit within the frame. You can also upload up to 10 photos and videos into a single Instagram post. Tap on the icon with two overlapping squares in the lower-right corner of the preview and select your media. These are called “Collections” and are great to upload photos from recent events at your country club! When you are taking a new video in Instagram, press and hold the record button to start recording your video. If you want to film a few different things, you can let go of the button, point your phone camera at something else, and press and hold the record button again to continue with the recording. Once you have selected your media for your post, you can add a filter or edit its orientation, brightness, contrast, and more. When your media is ready to go, just tap “Next” to fill out your post details. Write a caption: Your caption appears just below your media when your post is published. You can mention another Instagram account (i.e., @username) and add hashtags (i.e., #hashtags) here. Accounts that you mention will receive a notification about it, and your post will appear when someone searches for the hashtags you used. Tag People: If you are posting a photo or a collection of photos, you can tag multiple Instagram accounts in each photo. The accounts you tag will also receive a notification about it. Add Location: If your media is a photo or video of a location, you could add a location tag to your post. Your post will appear when someone searches for posts in that specific location. Social shares: If you have connected other social media profiles to your Instagram account, you can easily share your posts on those profiles by toggling the switch. Here’s the big moment…once your post is ready, tap “Share, ” and Instagram will publish your post. Your post will appear in the feed of everyone who follows you. If you have been following the steps, you have just posted your first Instagram post! Awesome! One of the best practices for growing an Instagram account is to post consistently. When studying 55 brands on Instagram, Union Metrics found that some brands lost followers when they didn’t post consistently. More than 250 million people post Instagram stories every day. Instagram stories are a new content format on Instagram. They are photos and videos that disappear after 24 hours. Verified accounts can add a link to their Instagram stories to drive people to their preferred website. Unlike your country clubs Instagram posts that are in news feeds, Instagram stories do not appear on your profile gallery or your followers’ feed. They are behind your profile photo on a separate feed at the top of the news feed. To post an Instagram story, just swipe right on your Instagram feed. You’ll be brought to the camera mode where you can take a photo or video or upload a media taken in the last 24 hours. Once you have taken or selected a photo, you can add stickers (including hashtag and location tag stickers), draw, and add text. If you have not followed any accounts, Instagram will prompt you to “Find people to follow” on your feed and provide three ways to discover people to follow. You can either link your Facebook account, connect your contacts, or follow profiles suggested by Instagram. Another approach that will allow you to find a wider variety of people is to use the Instagram search and explore feature. In the search and explore tab, Instagram will show you Instagram stories and posts that you might like. While it’s quite impossible to find ALL your members on Instagram unless you know them personally, you can get them to help you out with it! When people follow you on Instagram, you’ll receive a notification. Check out their profiles and follow them, too. Social media isn’t only about publishing. It’s also about engaging. To comment on a post, tap on the speech bubble icon below the photo or video. You can either leave a new comment or reply to an existing comment. When your followers comment on your photos (yay! ), such as leaving a remark or asking you a question about your country club, it’s a good practice to reply them as soon as possible to show that you’re listening to them on social media. Sprout Social found that 70 percent of the people interviewed are more likely to use a brand’s product or service when the brand responds to them on social. When the brand doesn’t respond, 30 percent of them will go to a competitor instead. Okay, time to get a little more advanced. Since this is not your account and is for your country club, we recommend converting your Instagram profile to a business profile. With a business profile, you get to add additional information about your business on your profile and promote your Instagram posts. All you need to convert your profile to a business profile is a Facebook Page. For more Instagram tools, check out Buffer’s ultimate list of 30+ free Instagram tools.